Cleek Schrey is a fiddler, improviser, and composer from Virginia, now based in NYC. Recent engagements include the Big Ears Festival (TN), the Kilkenny Arts Festival (IR), SuperSense Festival of the Ecstatic (Aus) and the Issue Project Room (NYC) with electronic music pioneer David Behrman. He collaborates with musicians from a wide spectrum of scenes and styles. Frequent collaborators include David Behrman, the viol da gamba player Liam Byrne, traditional fiddle icon Caoimhín Ó Raghallaigh, and the New Perplexity collective of composer-performers. The journal Sound Post has noted that Cleek “possesses a rare combination of traits: deep respect for traditional music and the people who make it, and an unbounded curiosity about new directions for sound”. He is currently pursuing doctoral studies in Music Composition at Princeton University. Cleek Schrey returns to the Watermill Center with an ensemble of daxophones. The daxophone is a thin hardwood strip played with a bow, created by the German improviser/inventor Hans Reichel in 1987. The instrument’s sound, somewhere between a cello and badger, ranges from furtive gurgles and delicate whistles to wild screams. 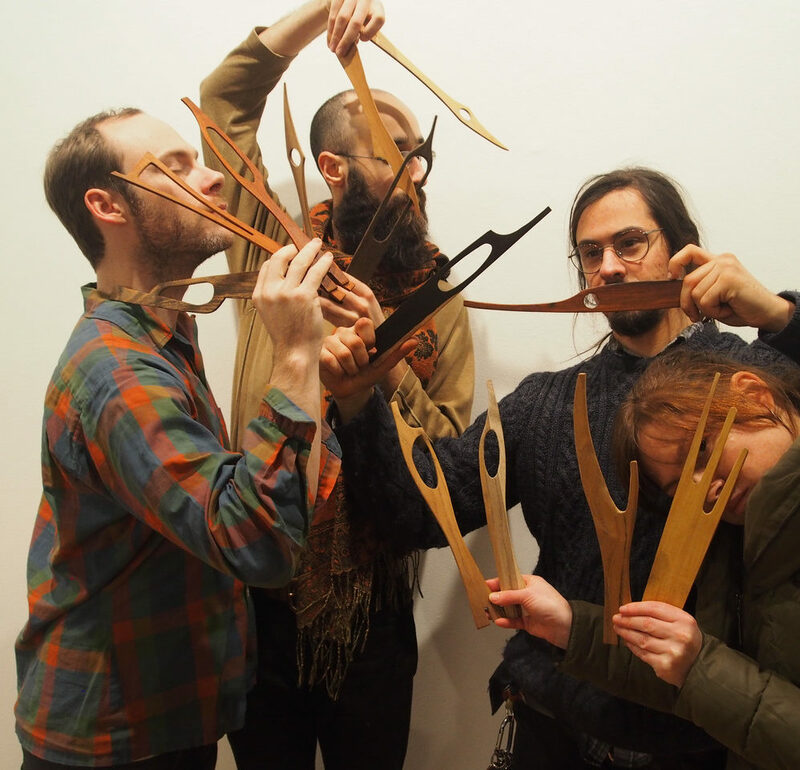 The New Perplexity Daxophone Consort (Cleek Schrey, Daniel Fishkin, Ron Shalom) is a composer-performer collective intent on creating new contexts for the instrument. In 2015 they performed at Dublin’s Science Gallery as part of Trauma: Built to Break, an exhibition on art and trauma. In 2016 they participated in Daniel Fishkin’s ambitious series of concerts in Philadelphia, supported by The Pew Center, which posed the question “What is Tinnitus Music?”. The group improvises, makes original work, and commissions new works from other artists, including a new quartet by the esteemed experimental composer Alvin Lucier. Future collaborations include the electronic music pioneer David Behrman. As an ensemble of the same instrument, more so than the string quartet or trio, they find themselves in the spiritual lineage of the viol consort. At Watermill, the ensemble will work with the viola da gamba virtuoso Liam Byrne.